Greece’s exit from a bailout program instituted by the eurozone and International Monetary Fund looks set to proceed in August, Luxembourg finance minister Pierre Gramegna said on Friday (11 May). Gramegna is one of 19 eurozone finance ministers who will meet next month to hammer out what Greece hopes will be a post-exit plan for substantial debt relief following eight years of near constant crisis fighting. The plan could close what has been a rough chapter in the bloc’s history that at various stages had threatened the future of the entire euro project. 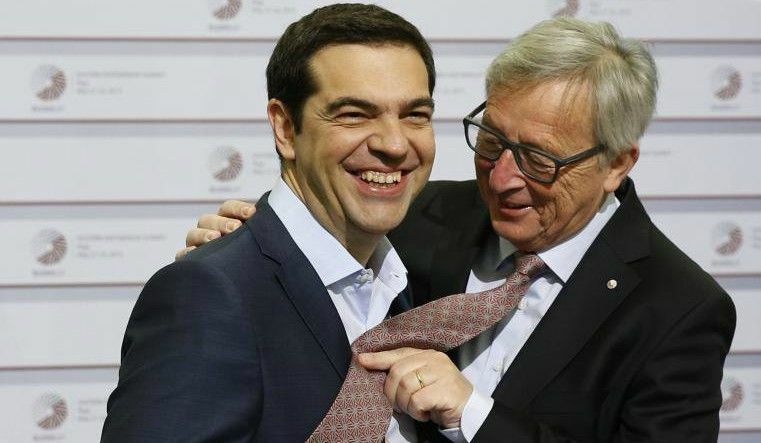 If this happens, the leftist Greek Prime Minister Alexis Tsipras may for the first time in many years wear a tie. 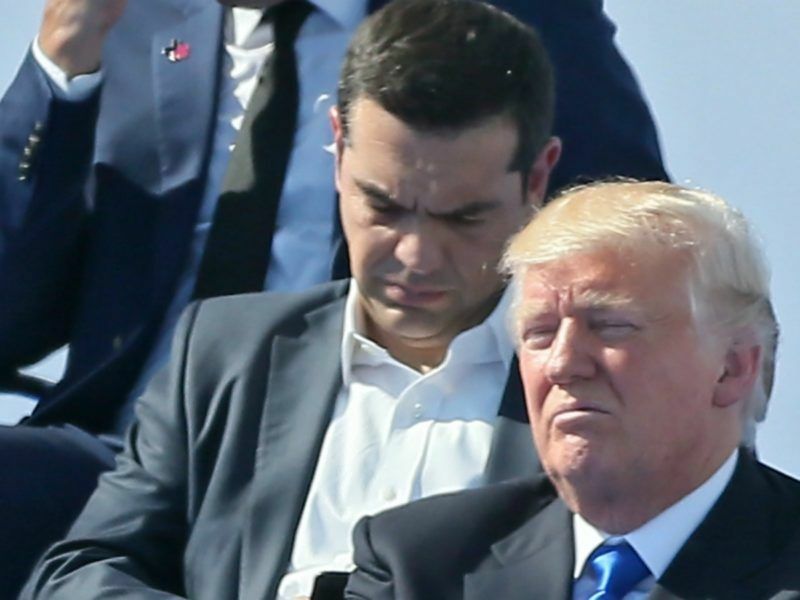 A possible EU-IMF deal on 15 June over debt relief designed to boost Greece’s recovery is also set to leave a mark – albeit temporary – on Greek Prime Minister Alexis Tsipras’s chest. Speaking to Reuters on Friday after the European Bank for Reconstruction and Development’s annual meeting, Gramegna said Greece has fulfilled all the demands made of it by its creditors following a series of reforms made in recent years. “The economy is growing in a satisfactory manner and the primary surplus of the Greek budget is higher than the very high threshold that has been set,” he said. Gramegna said “all lights are set on green” to close this difficult chapter of history for Greece and the eurozone. Access to debt relief should also be used as an incentive to keep Athens on track with its recovery program, he said. “It has always been in the back of the mind that something has to be done in terms of debt relief,” Gramegna said. He added that the euro zone is also hoping to agree a number of broader measures to strengthen its crisis fighting systems at its June summit. “One of the things there is consensus on is strengthening the role of the European Stability Mechanism (bailout fund) although, not yet on how much to strengthen it,” he said. “The second thing that there might be consensus on is the Single Resolution Mechanism,” the bloc’s bank rescue fund. Euro zone countries have been building a stockpile of cash in the SRM over the last four years but there have long been calls that a backstop would be useful for major emergencies. Gramegna was in Jordan for the EBRD meeting and said the development bank had seen resistance from some of its 66 government shareholders to plans to expand coverage into Sub-Saharan Africa. The EBRD started in 1991 lending to former Soviet countries following the end of the Cold War. Today, it provides finance in over 35 economies. “Enlarging or broadening the scope of the EBRD cannot be handled very quickly,” Gramegna said. “Our priority would be to strengthen the operations in the existing countries of operation and if there is scope (for expansion), well we can discuss it,” he said, also calling for the bank to work with the much larger European Investment Bank. he is held as a leader. Well if this is the leadership that the EU supports, then I see no reason for people to support EU.